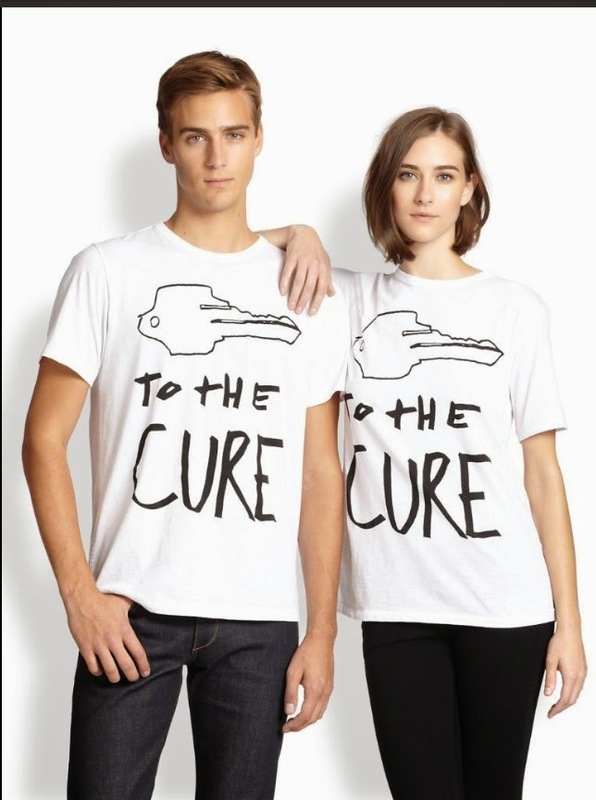 I'm proud to be partnering again with Cleveland Clinic and Saks Fifth Avenue to give away a pair of tickets to their 15th annual shopping event, Key To The Cure. This Cocktail Soiree and Fundraiser at the Saks in Beachwood on October 16, kicks off this weekend shopping event, during which 2% of store sales will be donated to help fight women's cancers. The party, hosted by Jason Nicholas from News Channel 5, features live music, complimentary spa, salon and cosmetic services, exclusive peek at fall fashions, and food and beverage from "Taste of Cleveland" such as Trentina, Ken Stewart's, XO Prime Steak and more! Of course, there will be outstanding raffle items including a Saks shopping spree with a personal shopper (feel free to win this one for me), airline tickets, a designer handbag valued at $3,000, gift cards and more! One of the event's partners, Browns Kicker, Billy Cundiff will also be there. Billy and his wife Nicole, are strong supporters in the fight against women's cancers and have a great foundation, Colleen's Dream, that raises funds to kick Ovarian Cancer. 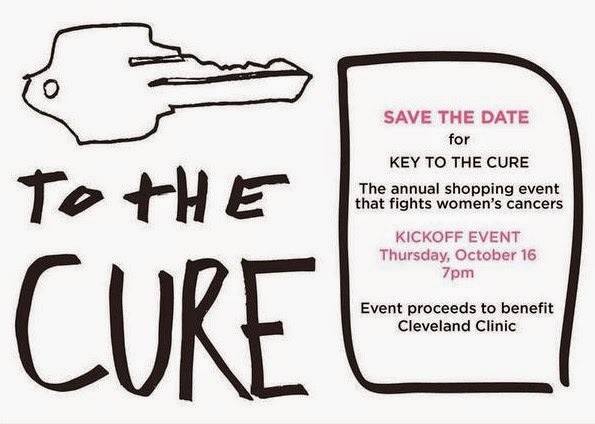 Tickets for Key To The Cure are $50 ($25 tax-deductible), and you receive a $25 Saks gift card, and complimentary spa treatments, Taste of Cleveland Cuisine and Cocktails. You can purchase tickets here. Don't wait for your tickets because the price goes up to $75 on October 9th. Last year, almost $30,000 was raised over the course of one weekend to fight women's cancers. Let's beat that this year! Want to win a pair of tickets? As usual, it is super easy, so make sure you follow directions. I let the computer pick a winner, so make sure you come back and comment on this post after you complete each task, in a *different* comment. 1. Follow @CLEkttc and @clevelandchick on Twitter. 2. Leave a comment of encouragement or support for a woman tackling cancer. 3. Tweet the following: "I want to raise $ & awareness for women's cancers w/ @clevelandclinic & @saks w/ tix to #CLEkttc from @clevelandchick http://bit.ly/1pIPrL6"
Winner will be selected Wednesday, October 8, at 6 pm. Remember, you can tweet once a day, so get to tweeting. But don't do it more than once a day. That will make people angry at both of us. Disclaimer: Cleveland Clinic and Saks Fifth Avenue provided me with a pair of tickets to attend and a pair of tickets to give away. All words are my own and are fueled by my new obsession with coconut water. I'm proud to have supported SGK 3-day walk in the past and Key to the Cure now. Together, we can beat cancer. I follow you both on twitter. What a great cause. I pray for a cure but until then I pray for strength for my friend and fellow baseball mom, Kim. I also pray for her family to keep the faith. I remind myself daily, "the things you take for granted, someone else is praying for." So with this being said, my encouragement to women fighting cancer is that it's not what you could have done differently, should have done, or would have done- it's what you do now. No more comments please...the computer is selecting the winner...thank you! And the winner is Danielle D!